If you have one of the internet service providers that impose a limit or cap on the amount of traffic you use per month, or even in an area where they said to impose a cap on your internet usage, knowing how much you have download and uploaded is key. Fortunately, there are programs for Mac/Windows/Linux/routers that will let you know how much upload and download you have done. NetWorx – NetWorx is a highly customizable free small program that stays in your system tray and monitors your upload and download usage. The program gives you usage reports, activity notfications, and various network testing tools. Freemeter – Freemeter is another free network usage monitoring software. Unlike NetWorx, Freemeter is portable as it does not need to be installed on to the machine. The program puts the network usage into a nice graph, with the ability to customize it to show update intervals, bandwidth, scale and measuring units. 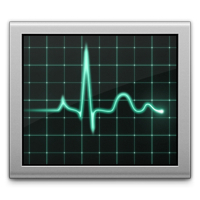 Activity Monitor – Ironicly, Apple’s Mac operating systems already include a network monitoring tool to show useul statistics about your connection. The only downside is that it only show you statistics since the last reboot, so this tool may not be useful for monitoring network usage for multiple days. SurplusMeter – After specifying when your internet contract starts, the program will start monitoring your internet usage across all network device, not just the computer itself. Other features include notifying you on the remaining internet usage left, daily allowance, average daily usage, accumulated surplus and more. NTM (Network Traffic Monitor) – NTM is a simple and great application for monitoring internet usage in Linux. The program can monitor the inbound/outbound and the total traffic as well as how long you spent online and other various features for monitoring connections. DD-WRT – DDWRT already comes with a internet usage meter. After installing the approperate router firmware, go to the status tab, the WAN sub-tab, and scroll down to the “Traffic by ______”.